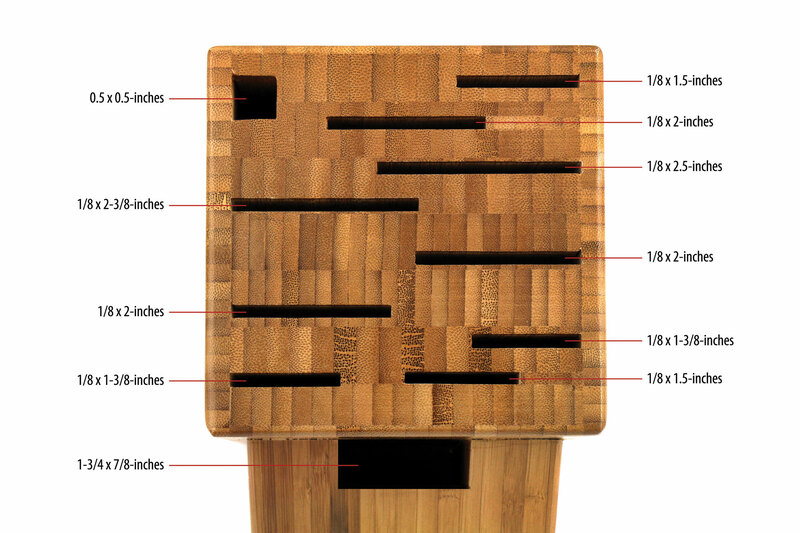 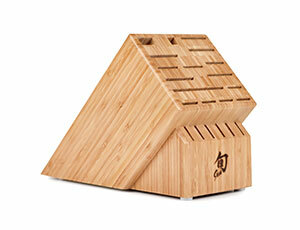 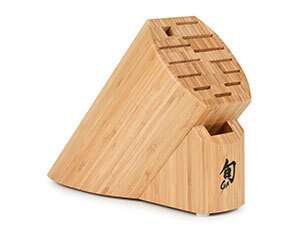 This Shun 11-slot bamboo knife block will safely hold your cutlery. 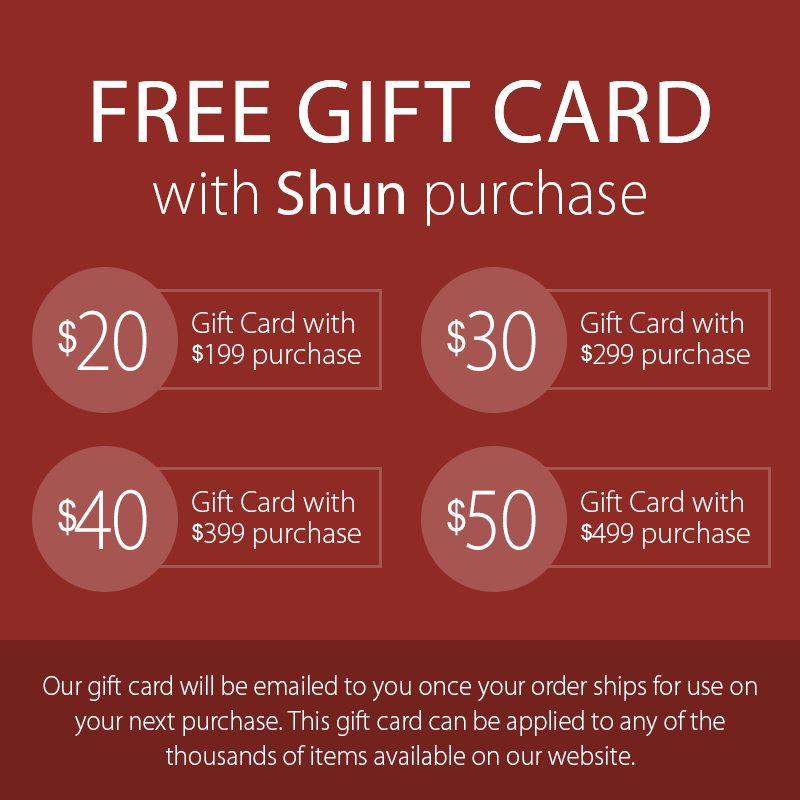 Bamboo is desired for its extreme durability and natural beauty, and will not dull knife blades. 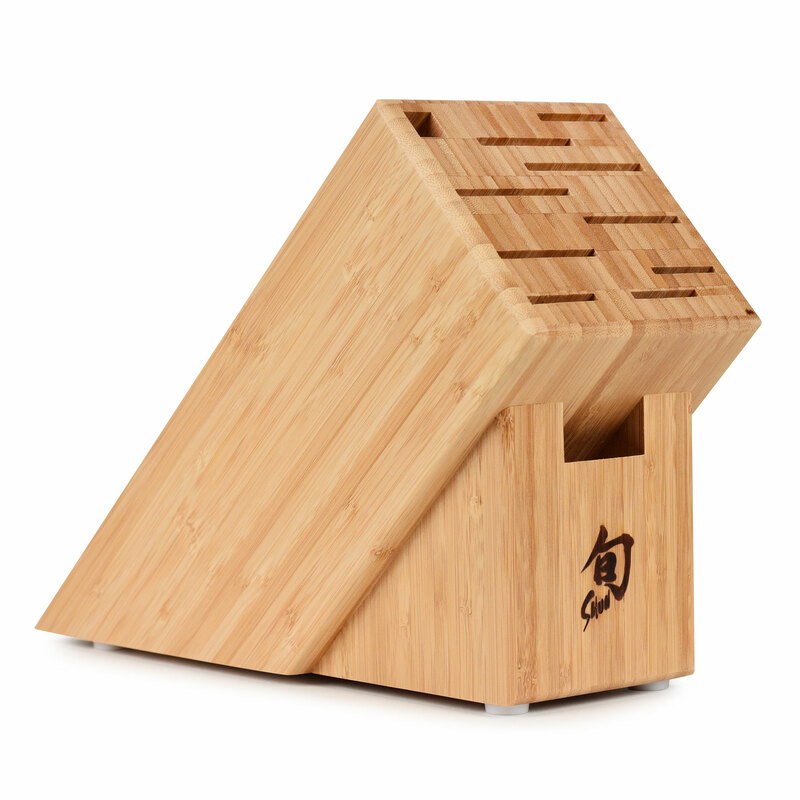 Bamboo is known to be 16% harder that maple and is easy to clean by wiping with a damp cloth. 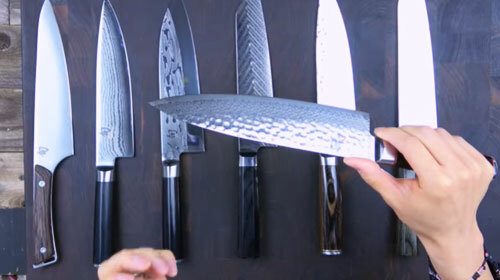 Plus, its natural hardness means it resists knife marks and retains its handsome appearance even under consistent use. 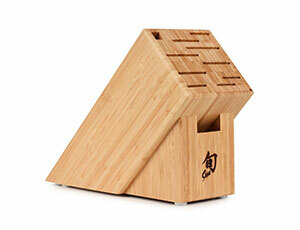 Bamboo is a grass, not a wood that grows quickly and replenishes itself.